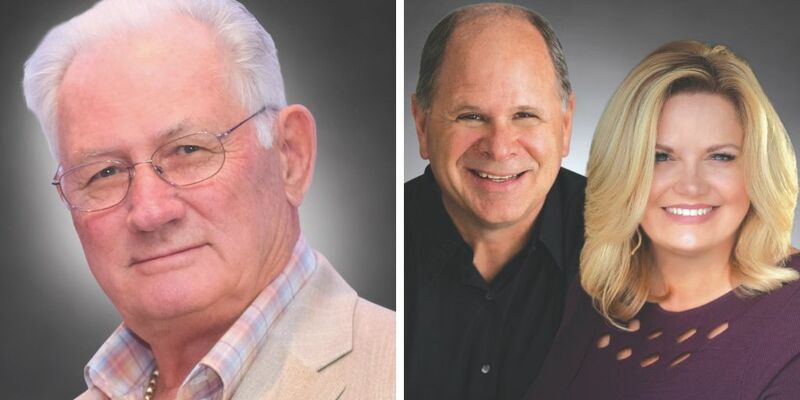 FORT MYERS, Fla. - March 19, 2019 - PRLog -- Junior Achievement of Southwest Florida is pleased to announce that Dave Copham and Scott and Diana Willis will be inducted into its 2019 Business Hall of Fame, Lee County. The laureates will be honored during a dinner and awards ceremony on Thursday, April 18, with a cocktail reception at 5 p.m. and dinner at 6:30 p.m. at the Hyatt Regency Coconut Point Resort & Spa in Bonita Springs. Tickets and sponsorship opportunities are now available for the event. Copham is the founder of Liberty Check Printers. Originally from Minnesota, he began his career in 1967 as a pressman helper at Holden Business Forms, working his way up to the position of vice president of manufacturing. He subsequently served as vice president of operations at Northstar Computer Forms for over a decade. During this time, he began working with a money order organization, Travelers Express Company, where he soon discovered a growing need for item processing and clearing of personal checks for credit unions and their members. Seizing the opportunity to fulfill those orders, Copham founded Liberty Check Printers in 1985. The business ultimately became the No. 1 supplier of personal checks in the U.S. for credit unions and an employer of more than 1,000 staff members located throughout the country. Copham also steered the company in becoming the first S Corporation to offer stock to employees through an Employee Stock Option Plan (ESOP), which wasn't allowed by law prior to 1998. He sold the company in 2005. Copham led Liberty Check Printers in earning many significant awards and achievements throughout his 20 years of leadership, including being named one of Minnesota's top 100 employers in 1997 by Minnesota Business Magazine. In 1996, Copham was also named Entrepreneur of the Year in manufacturing for the Dakotas and Minnesota by Ernst & Young Company. In 1965, Copham met and married his wife, Cheryl, and they raised two children together, Kristen Mae and Jed. Today, the couple enjoys spending their retirement years in Florida and Minnesota, actively supporting many charities, including SWFL Children's Charities, Inc., The Heights Foundation, Habitat for Humanity, Pace Center for Girls, Special Equestrian, Inc., Naples Children & Education Foundation and Mayo Foundation. Scott and Diana Willis are the president and vice president of the Wilrock Group, LLC and its subsidiaries, doing business as Jason's Deli of Southwest Florida. The couple opened their first location in December 2001, and today, they own and manage six Jason's Deli restaurants from Sarasota to Naples, employing more than 250 people throughout Southwest Florida. At just 20 years old, Scott Willis began his career in the restaurant industry as a store manager for a McDonald's franchisee, and quickly rose to supervise 13 McDonald's locations in Texas. Scott and Diana Willis became business partners in their own McDonald's franchise in Arkansas before selling it and launching Jason's Deli of Southwest Florida. Since then, Scott and Diana Willis have led their restaurants in earning many awards for business excellence, including Jason's Deli's prestigious Franchisee of the Year Award in 2005 and 2013. Committed to improving the lives of others, Scott and Diana Willis serve as mentors within their company and the community at large through various philanthropic organizations. They are supporters of many nonprofits, including Abuse Counseling and Treatment Center, American Heart Association, Children's Advocacy Center, Community Cooperative Ministries, Habitat for Humanity, Harry Chapin Food Bank, Heights Foundation, Hope Clubhouse, Laces of Love, National Alliance on Mental Illness, Quality Life Center, Salvation Army and United Way of Lee, Hendry, Glades and Okeechobee Counties, among others. Personally, Diana Willis also serves on the Dean's Council for Florida Gulf Coast University's Lutgert College of Business and is past advisory board chair for FGCU's School of Resort and Hospitality Management. She is also past board chair for Pace Center for Girls, Lee County, a prima donor for Southwest Florida Community Foundation's Women's Legacy Fund, and an active giver with the Sisterhood for Good and the Lakewood Ranch Community Foundation. She was recognized by the Greater Fort Myers Chamber's Women in Business committee as a 2015 Apex Award recipient and was named Gulfshore Life magazine's 2015 Woman of the Year. She received the Jon Davidson Humanitarian Award in 2018 from Jason's Deli for her efforts in partnering with the community. Married for 32 years, Scott and Diana Willis are parents to two sons, Brandon and Mason. Business sponsorships are now available for the 2019 Business Hall of Fame, Lee County, with premium diamond sponsorships for $10,000, platinum level sponsorships for $8,000 and gold level sponsorships for $5,500 and silver level sponsorships for $2,000. These levels include eight seats, with two seats reserved for students. Bronze level sponsorships are $1,000 and include four seats at a reserved table. Individual seats are also available for $250 each. Sponsors are also needed to support student admission, which is $125 per ticket. To reserve tables, purchase individual tickets or become a sponsor, call 239-225-2590 or visit www.JASWFL.org. Proceeds benefit local Junior Achievement programs. Junior Achievement (http://www.ja.org/) is the world's largest organization dedicated to giving young people the knowledge and skills they need to own their economic success, plan for their future, and make smart academic and economic choices. Junior Achievement programs are delivered by corporate and community volunteers, and provide relevant, hands-on experiences that give students from kindergarten through high school knowledge and skills in financial literacy, work readiness, and entrepreneurship. Today, JA reaches 4.8 million students per year in more than 100 markets across the United States, with an additional 5.6 million students served by operations over 100 other countries worldwide. Locally, Junior Achievement of Southwest Florida partnered with more than 200 classroom business volunteers during the 2017-2018 school year to provide nearly 63,800 hours of instruction to more than 11,600 students in 519 classes throughout Collier, Lee and Charlotte counties. For more information on Junior Achievement of Southwest Florida, visit www.JASWFL.org, call 239-225-2590 or email info@jaswfl.org.